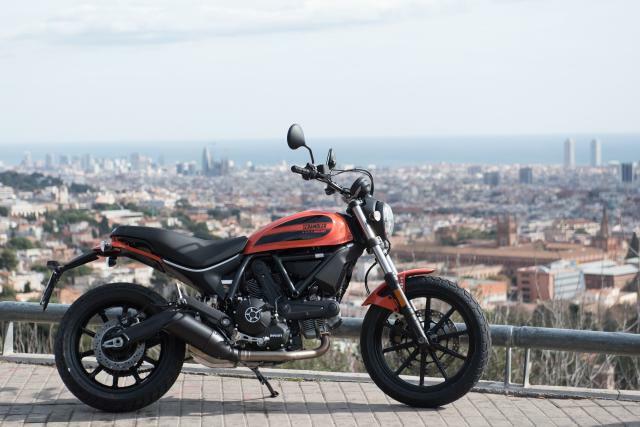 DUCATI has dropped its strongest hint yet that an 1100cc supersize Scrambler could be joining the hugely successful family. Don't get too excited about the prospect of a 200hp Panigale-engined Scrambler on the horizon, instead Sabbioni insisted that any larger displacement would adhere to the Scrambler's philosophy of a two-valve, air-cooled engine. Currently the largest Desmodue in Ducati's range is the air-cooled 800cc engine housed in the Scrambler. However, the 1100cc Desmodue Evoluzione, last used in the Monster EVO and discontinued in 2013, looks the most likely candidate for the larger model. Of course, Ducati's engineers will need to make the engine Euro 4 compliant. With Ducati's use of the name Sixty2, a reference to the original 1962 250cc single cylinder Scrambler, Visordown wondered if an affordable entry-level 250 was the next logical step – particularly with the possibility of building the much simpler engine in India or the Far East. Ducati firmly quashed this idea – suggesting it would be damaging to the prestige of the brand. The real question is, what would the hipsters make of a 100hp Scrambler?